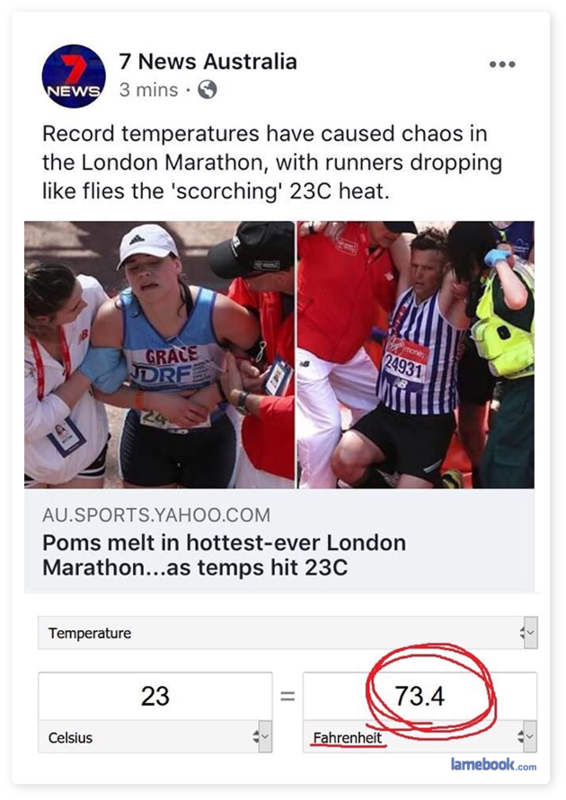 ^ Heh… A quick google reveals that even serious British websites mentioned the 23C heat was scorching. what douchbag comment is that? what are you trying to articulate anyway? but yes… in england with their pebbled beaches… they regularly thought 28 degrees was a scorcher…. meanwhile in Wagga Wagga, NSW, Australia – it was 50 degrees early 2018 and no one said boo. Um, 23C is room temperature.